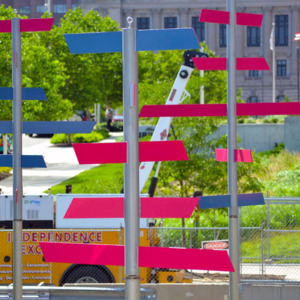 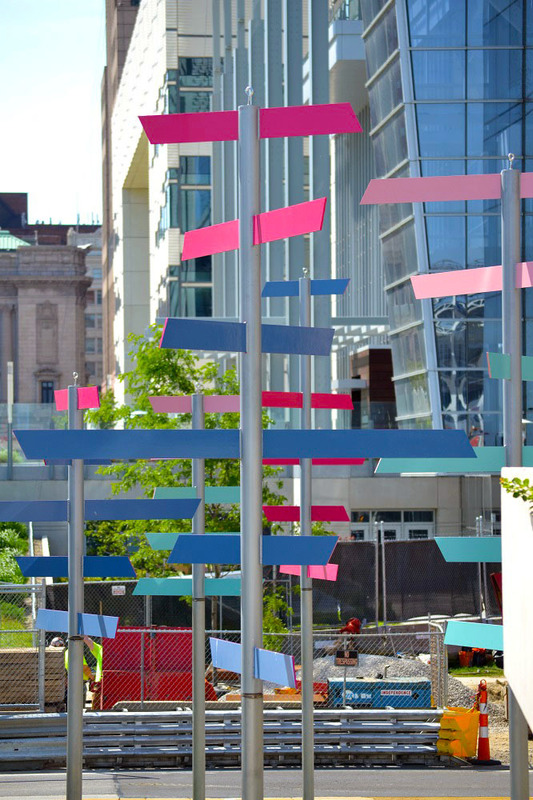 A series of pastel colored metal strips, suspended off steel poles that rise 15 feet out of the ground. 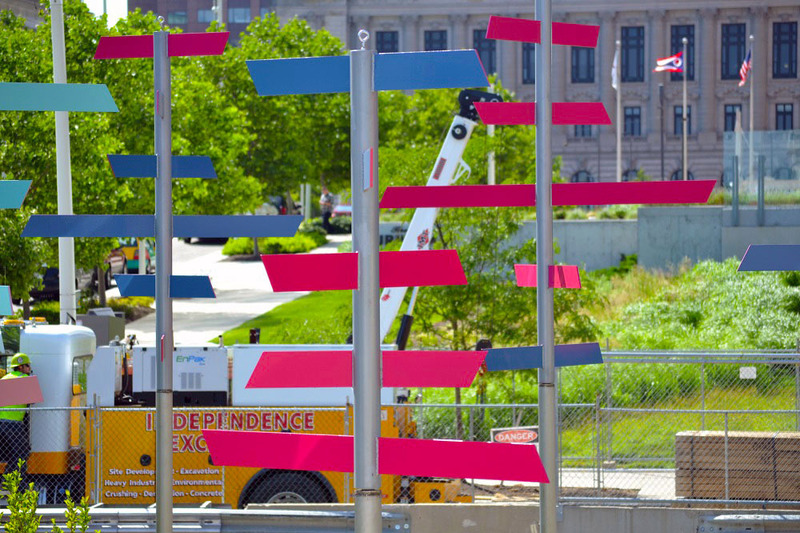 The solid strips face all different directions and tend to have tapered ends as if they're flying through the poles. 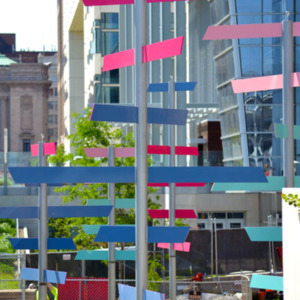 Levy has chosen to use muted pastels in pink and blue to color the strips, lending the piece a light, airy, cool feeling. 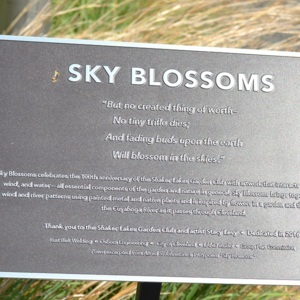 This piece was installed to celebrate the 100 year anniversary of the Shaker Lakes Garden Club. 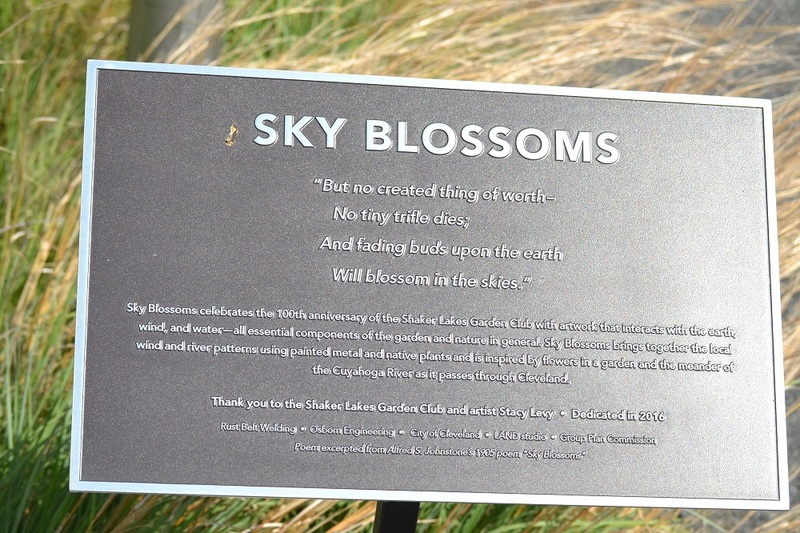 It calls to mind the natural elements of the garden: Water, Wind, and Earth, combining them to create a harmonious, peaceful space along the busy streets of Cleveland. 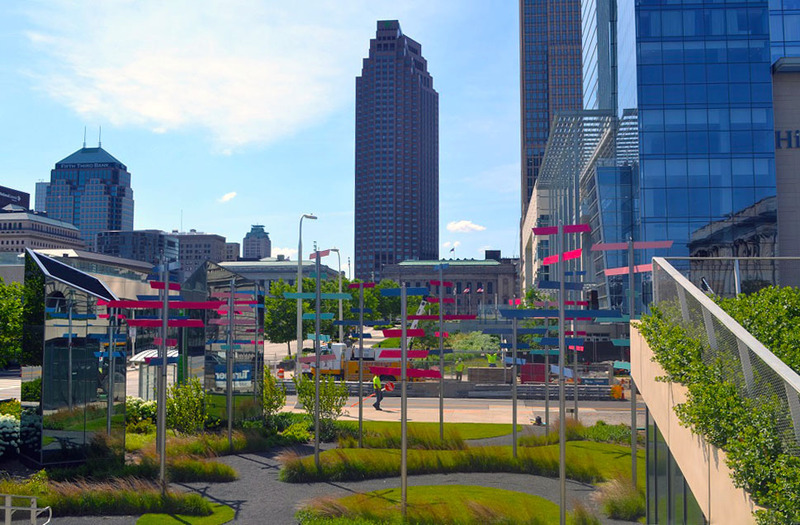 The garden is full of native plants and the path that the poles weaves references the meandering Cuyahoga River. 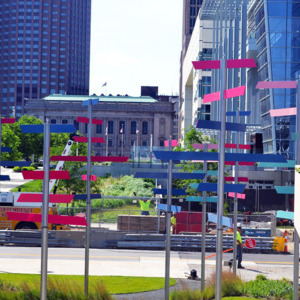 Location: Lakeside Avenue and W. Mall Dr.
: Stacy Levy, “Sky Blossoms,” Ohio Outdoor Sculpture Inventory, accessed April 22, 2019, http://oosi.sculpturecenter.org/items/show/1407. 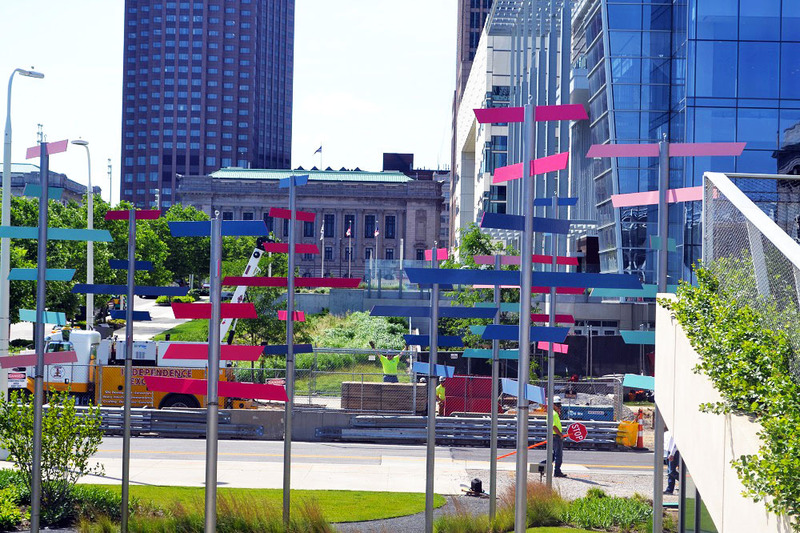 Lakeside Avenue and W. Mall Dr.